Did you know, that one of the most common things the newlyweds fight about is money and that it is one of the most common causes for divorce? Whether it’s caused by one person who spends way too much or whether it’s caused by both people spending way too much, not getting your finances together with your new spouse can certainly cause damage where you don’t want damage done. It doesn’t have to be a damaging issue though. One of the single most important things that a newlywed couple can do is create a budget that works for your new family. Having a budget will not only allow you to live well now, but it will also allow you to save for your future together. Most people get really freaked out by the word budget, but I’m here to tell you that your budget should not be a scary thing. These budget tips for newlyweds will help take the fear right out of the word budget. The reason that budgets are scary for some is that they are often looked at as either abnormal or impossible. While they can be hard, they’re not impossible. The biggest issue that most families have with a budget is sticking to it. I could tell you that it is easy to do but honestly I’d be lying to you. If learning to stick to your budget is something that you’re not used to doing, the only thing you can really do is to get serious about it and keep practicing. Marriage is hard enough without adding stressful finances on top of it. 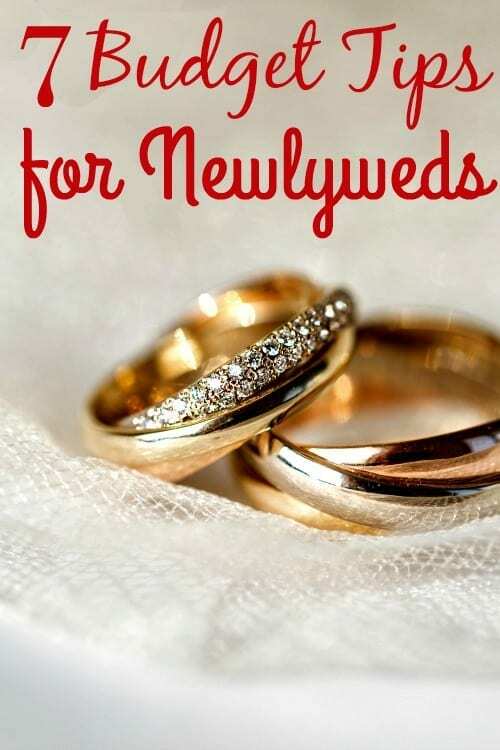 If you’re careful though and you use these budget tips for newlyweds along with the other great tidbits of advice that you can find in great financial books and other financial blogs, you can keep it from becoming a major issue in your new marriage. Instead, you can start your life together right and keep things on the correct financial path for your new family. If you haven’t gotten married yet, be sure you check out our huge list of free wedding samples to help cut your costs for the ceremony and reception. I also recommend that you pick up my good friend The Frugal Navy Wife. Her book, How to Have your Dream Wedding for Under $1500 can help you save BIG on your ceremony. I also recommend that you do what you can to earn extra money before you say “I Do” too. I personally would also do what you can to earn as much extra money as you can. I add $225/mo to my income EVERY month and my system would be great for adding money to your wedding budget. Having your budget in place before the wedding means you won’t have to deal with it after the wedding. Yes I know, it seems like a really simple thing to do, but when your mind is on the honeymoon, how the wedding went, sending thank you cards, and dealing with potentially tons of leftover cake, the last thing that you want to be doing is worried about your checking and savings accounts. Having a budget in place before the wedding, will allow you and your new spouse to simply sit and enjoy each other. If it sounds odd to you to be discussing the “family” finances with someone that you haven’t married yet, I’d like to ask you why. You are marrying this person, you (hopefully) plan to spend the rest of your life with them, you’re going to be sharing finances with them after the wedding, so why would you not consider their finances beforehand? Things that you will both need to know are how much income the other has, monthly bills that they pay, how their credit is and what their spending habits are like now because trust me…you don’t want to be surprised by it after the ceremony. I know. I just made half of your reel back from your computer screens with a look of abject horror on your face, but as old fashioned as it may seem, couples that only have one checking account typically do better with their finances. When you have only one account, there are no surprise expenses, addictions, or anything else that can pop up on your radar without both people knowing. Having one checking account also keeps one person in the marriage from feeling like their not equal. A feeling of inequality in a marriage is also another common cause of divorce. Women can feel dependent on a man when she has to ask him for money all of the time, just as a man can feel emasculated when he has do the same. Pooling your money together and using only one checking account will not only create a better place for your money, but also a better environment for your marriage to grow. This applies for savings accounts and investment or retirement accounts as well. Even if you have five savings accounts, both should have access to them, especially if one of them is your family emergency fund. This eliminates the issue of one person in the marriage not being able to access money in an emergency. Unless you’re the pen and paper type of person, you’ll need to find a budgeting software that you both love and know how to use. It all depends on which type of budget that you want to use. Typically most people use a cash envelope budget, a line item budget, or a budget that is based on percentages. Different budgeting software use different types so you’ll want to do a quick search and find which one works best for the two of you. If you’re unsure about the differences involved in each type, I explain them in my book. Next up in the 7 budget tips for newlyweds that I am giving you is this: When you newly married, sometimes you want to buy your new spouse gifts and trinkets to continue showing your love. While I’m sure your spouse will love those gifts, giving them the gift of financially secure future is more important and in the long run, will mean more to them. Make sure that when you’re spending money that you spending on something you need versus something that you simply want. If you want to buy her a new diamond necklace, fine. Save for it out of your own spending money, find a deal and then use a cash back site to save even more. The same goes for the ladies who want to buy their husbands a gift. Saving for that gift may take longer, but do you (or would your spouse) really want to deal with a budget that doesn’t have enough money to it’s month because you bought that new necklace or fishing rod? I wouldn’t think so. Don’t get me wrong, I’m not saying not to buy each other presents; what I am saying is to do it responsibly. One of the most important budget tips for newlyweds that I could give you is to make it a family affair. If one person is trying to save money and the other one is not, there will be tension in the house, tension in the bank account, and I can guarantee you that no money will actually get saved. Make sure that you and your new partner are both on the same page. Sit down at least once a week together and have a budget meeting to look not only at the past week spending, but the income and expenses for the upcoming week as well as the rest of the month. Make sure that you’re tracking every dollar spent and if one person is spending too much you can put a stop to it now before it really gets out of control and you end up in a bad place financially. Be sure to account for things like utilities that will be due soon, student loan payments, car payments and anything else that will need to be paid the following week. As a couple, you should always be looking to increase your wealth so that you can build your future together. After you’ve taken care of the normal expenses and day to day pop up costs, start building your future. You can learn to invest your money, open an IRA for retirement or even track your net worth online with not too much trouble. Retirement and your future might seem years away but those years will fly by before you know it. The last thing you and your new spouse want to have happen is to find yourself starting down your golden years with no money to live on. 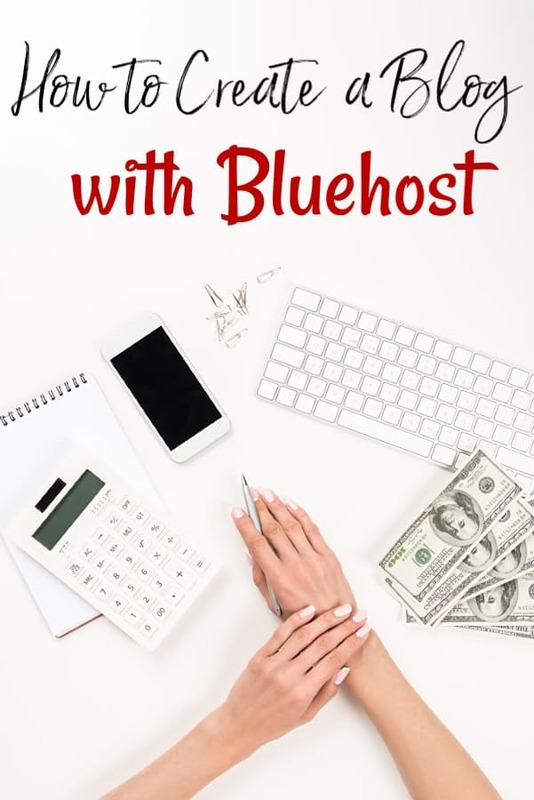 Finally, the single most important of all of the budget tips for newlyweds that I can give you for managing your finances as newlyweds is to simply trust each other. If you can’t trust in each other your budget…and your marriage will be in deep trouble before too long. You are both going to make mistakes, money is going to be spent that shouldn’t be, there will be times where you don’t save a dime and yes, most of you will struggle at some point. Don’t let the times when those things happen ruin a good relationship. Always trust in each other to do the right thing and if the wrong thing happens to happen? Forgive easily and move on. So there you have it. My budget tips for newlyweds. They aren’t all perfect and I’m more than positive that I’ve missed one or two but they will help you create a solid foundation to start your life off right. Do you have any to add? We knew that we wanted to be one month ahead on our expenses since my husband freelanced (what comes in in March is what’s used for April’s budget). Many people gave cash as a wedding gift, so we used that money, and a little bit of savings, to start out our marriage being a month ahead.